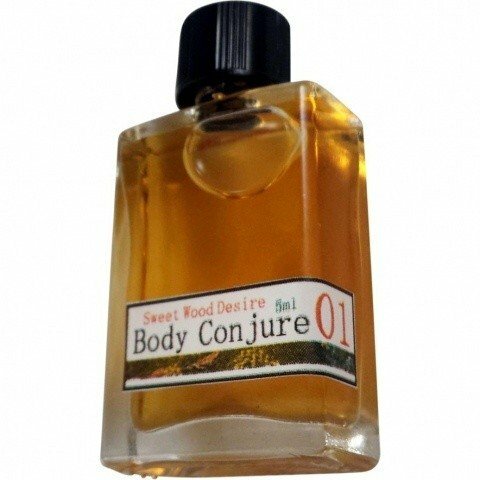 01 Sweet Wood Desire is a perfume by Body Conjure for women and men. The release year is unknown. The scent is spicy-woody. It is still in production. The start is very woody and stinging. Resin is also included immediately. After a few minutes a spicy note gets more and more intense, it took me a while to recognize it as cardamom. This combination of wood, resin and spices really clears the nose. After half an hour I slowly have the feeling of smelling a furniture polish. This will stay that way for a while. After a good hour the woody side of'Sweet Wood Desire' gets stronger again and the scent becomes soft and round, unfortunately the furniture polish still remains a bit in the background. After three hours,'Sweet Wood Desire' begins to retreat, but at the same time a slight sweetness, probably from the tonka bean, enters the fragrance. Large changes are not to be smelled any more, only shortly before the end it becomes still somewhat smoky, could come from the vetiver. 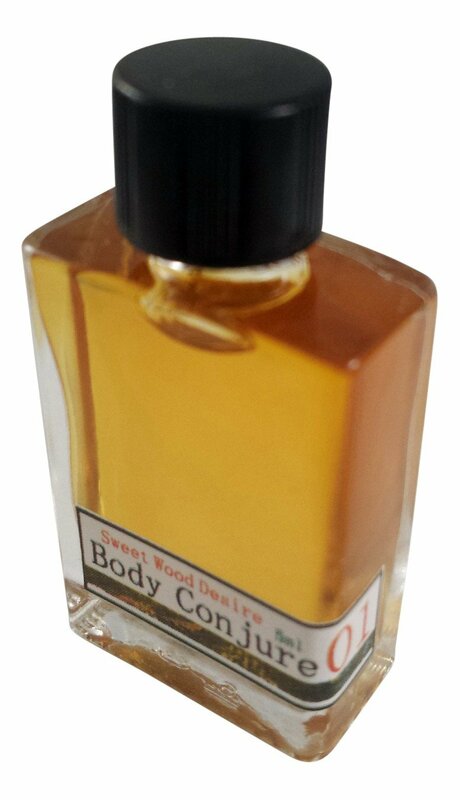 Sweet Wood Desire' is a masculine perfume for me. Probably wearable at rather cool temperatures. The sillage is mediocre, the shelf life is a good eight hours. Write the first Review for 01 Sweet Wood Desire!